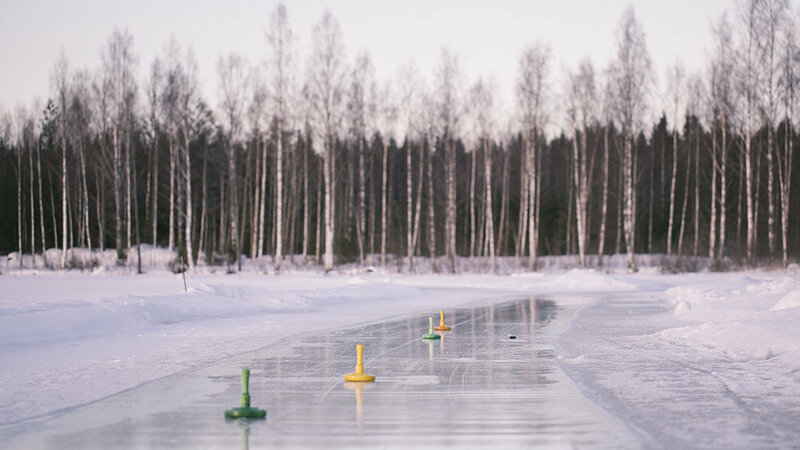 Alpine curling is an old game played on the ice. It can be played by individuals, pairs, or teams. The aim of the game is to slide stones as close as possible to a target stone that is placed beforehand - similar to “Boccia”. Two teams take turns by sliding heavy, polished granite stones towards the target stone. At the end of each round, the distance of the stones closest to the target stone have to be measured, and points are awarded accordingly. 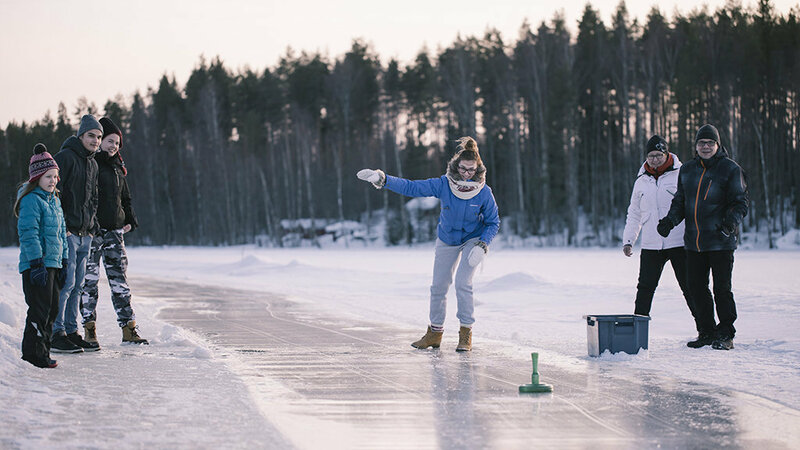 Alpine curling is a fun and easy-going game, which can be played near the cottage on the lake shore or on the ice rink. The game stones are even for children light and easy to handle. Price: 30 € / Soukkio cottage. 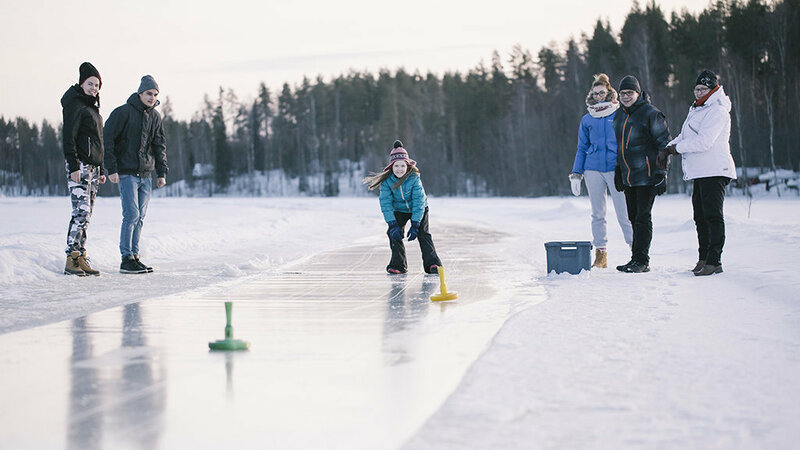 Alpine curling operating days and time can be changed separately by prior arrangement and subject to availability during holidays. For requests of a customized offer or longer bookings please call the Rock and Lake sales +358 50 566 0905 or send an email to sales@rockandlake.com.